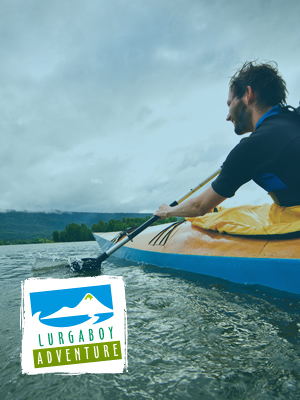 Lurgaboy Adventure is one of Northern Ireland’s leading Team Building and Outdoor Pursuits providers. Established in 2005 by Everest Mountaineer Richard Dougan we pride ourselves in delivering fun and high quality programmes to youth and adult groups on our 35 acre site in Armagh and off site across Northern Ireland. Our instructors are National Governing Body qualified and highly experienced. Our success is built upon our ability to interact and bring the best out of every individual within each group by means of ‘soft’ and hard’ skills and by establishing long – term relationships with our clients. We boast one of Irelands longest Zip Wires at a fabulous 400m and each day we challenge groups to reach their full potential by using our high level ropes course. We also have the flexibility, resources and qualified instructors to offer fun, safe and quality packages across Northern Ireland including Coasteering, Mountain Biking, Archery and Rock Climbing.